First of all, thank you so much for sharing your opinions with me in Wednesday’s post! It’s so helpful for me to know what you enjoy the most from the things I share – sometimes I’m surprised! If you haven’t yet, jump over there and let me know your thoughts on a few blog related things. I don’t know about you, but this has been a long and tiring week. One of my favorite things to do after a long week is to drive over to Target for an hour of retail therapy. There’s just something about the aisles of Target that causes me to de-stress! We’re almost out of dishwashing detergent and sandwich baggies, so that means there will definitely be a Target run on the schedule this weekend. As it happens with that store, I’m sure that more than just those two items will make their way into my cart! Here are five things I love to buy at Target! I thought of several other things right after I filmed the video – but that’s no surprise, is it?! 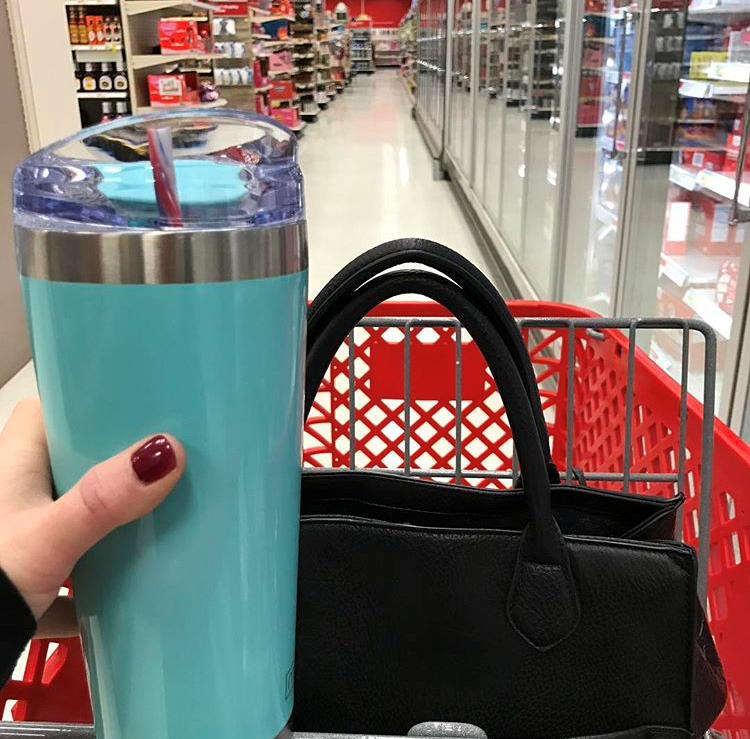 What are some of your favorite things to buy at Target? Target is like a time warp for me. Making a list is key, so I can stay on track. There’s so much to see that I can lose track of time. Since the closest store is over 30 minutes away, I don’t get there as often as I’d like. So I really need to make the most of my shopping time. My favorite go-tos are the seasonal aisles and Bullseye’s Playground. When I have time, I like to browse the clothing and makeup, and the housewares. Their clearance section often has an interesting variety, too! I think it’s like that for a lot of people! 🙂 I live close to a couple Target stores so I have to limit myself to going no more than every other week! #1 and #2 are two of my favorites too. I’ll be sure to check out their shower curtains when I am on the hunt for new ones at the new house! You could probably even grab your shower curtains cheaper if you find them during a “spend $40, save $10 on bath decor” sale! I miss Target!! 😦 Their stuff is so darn cute! We stopped shopping there after they publicly announced their support of transgenders (or anyone ‘claiming’ to be transgender) from using their restroom of choice.